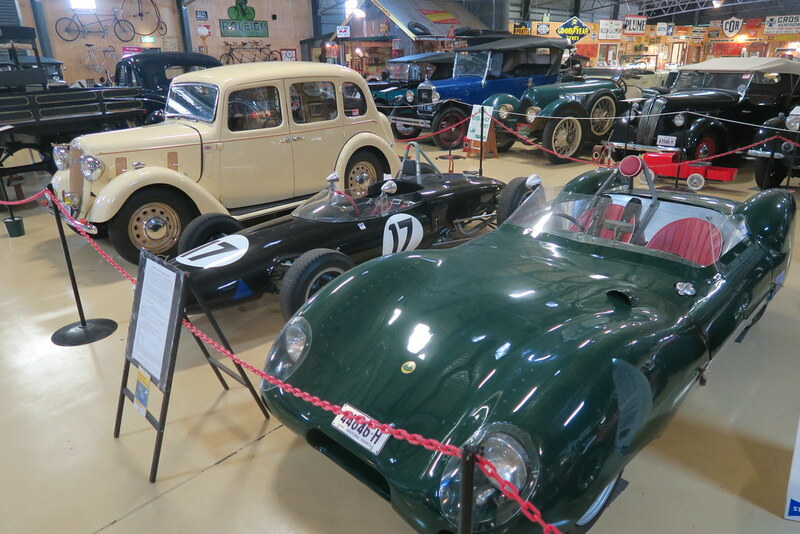 The meeting point for the drive was an oval near the start of the Royal National Park. 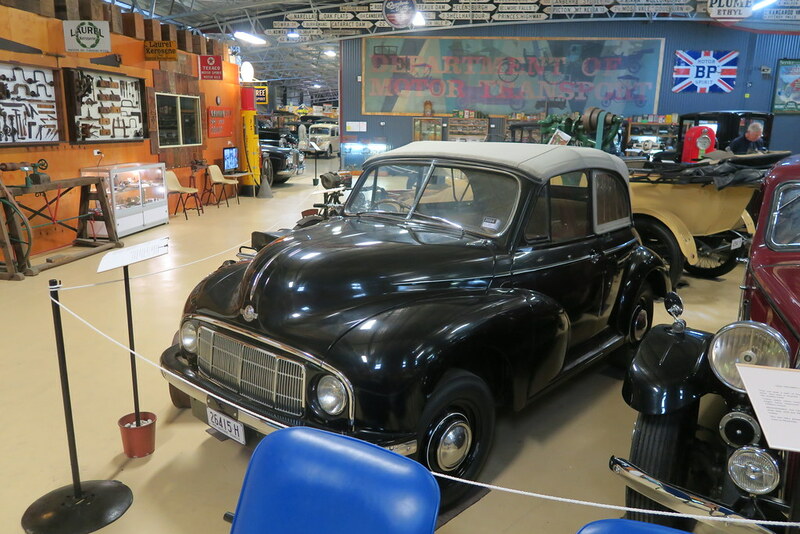 While the fastest way to get to the Motorlife Musem is down the M1 freeway, the best way is via the Grand Pacific Drive. 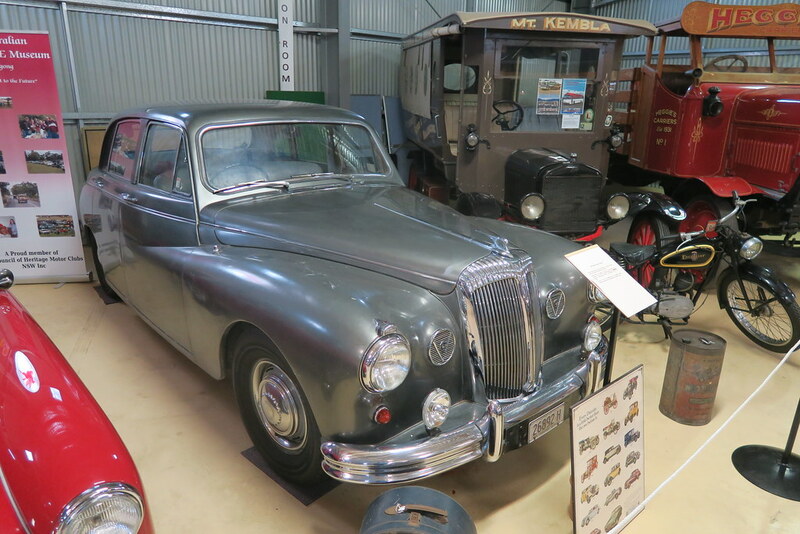 This takes you through the Royal National park and across the sea cliff bridge. 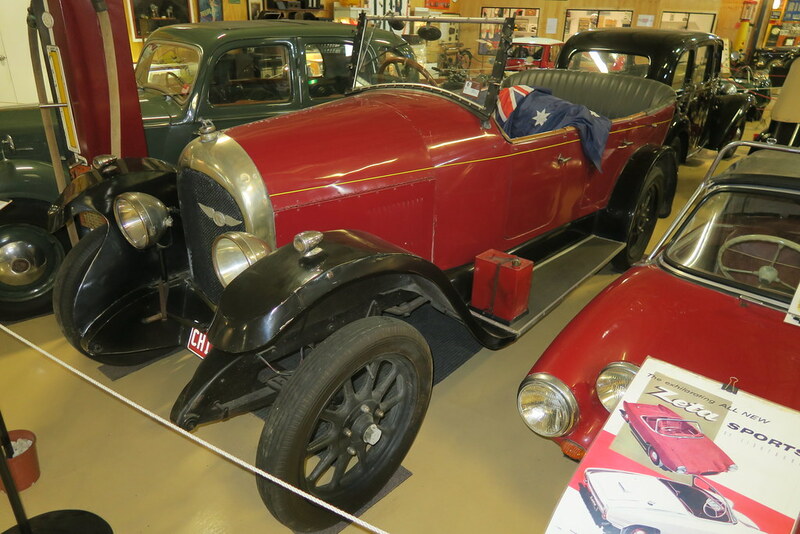 The Royal National park drive is picturesque and features winding roads and no traffic lights. 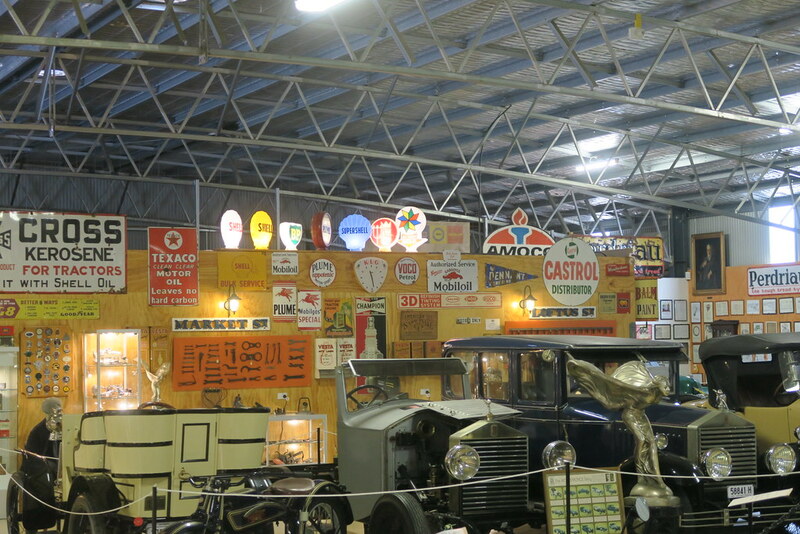 On nice days it can get very crowded, but on an overcast day like Sunday it was pretty good. 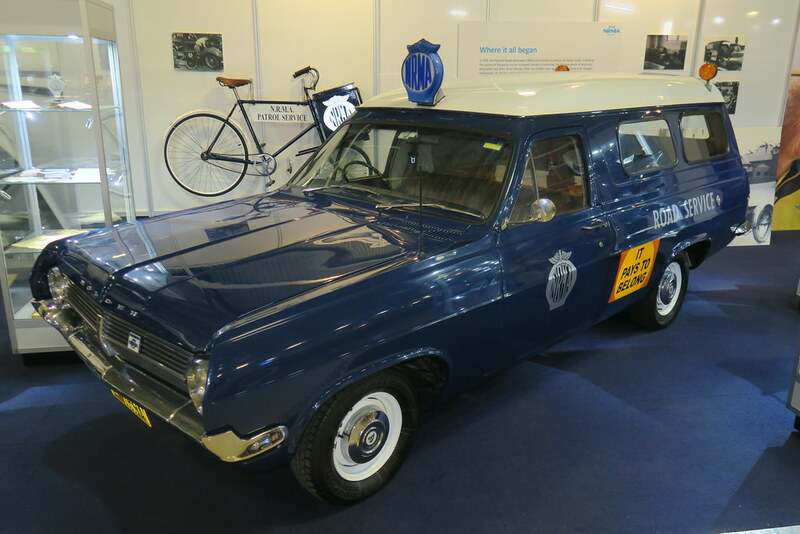 Speed limits are very low (mostly 60kph) and heavily enforced. 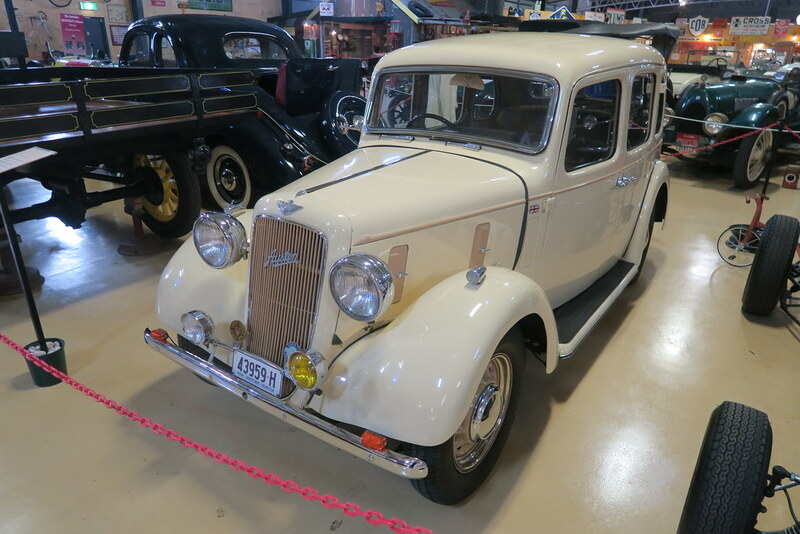 This meant the best car for the drive was my Traction Avant. 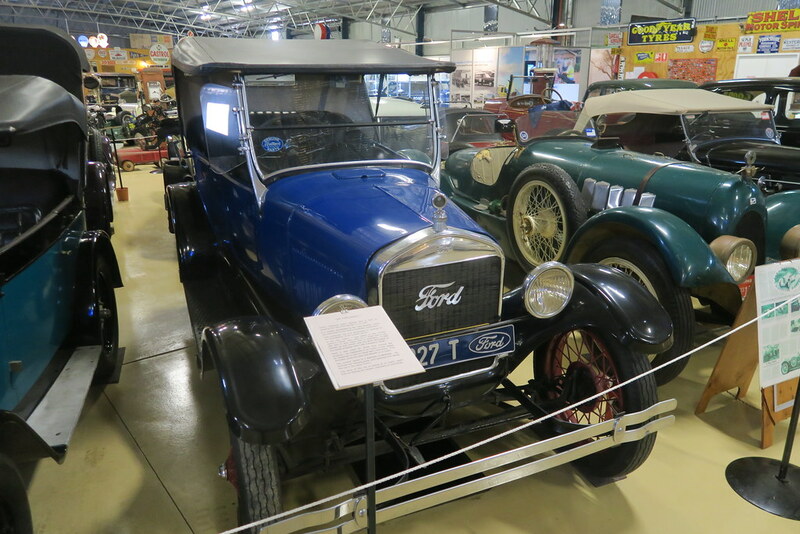 The Traction thrives at 60-90km/h and is fun on twisty roads at these speeds. 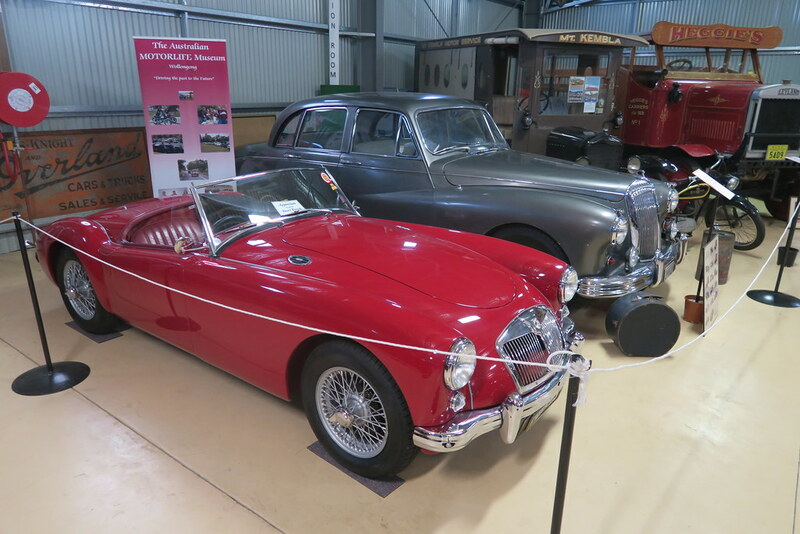 Driving a more powerful car like the 450SLC or E-Type on this road is far less interesting. 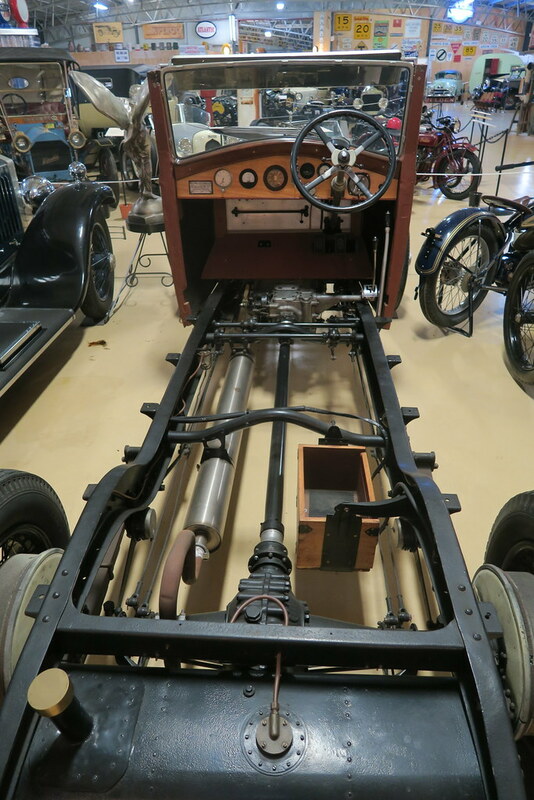 I had not taken the Traction on a long drive for a while, it it always responds well, seeming to perform better once really warmed up. 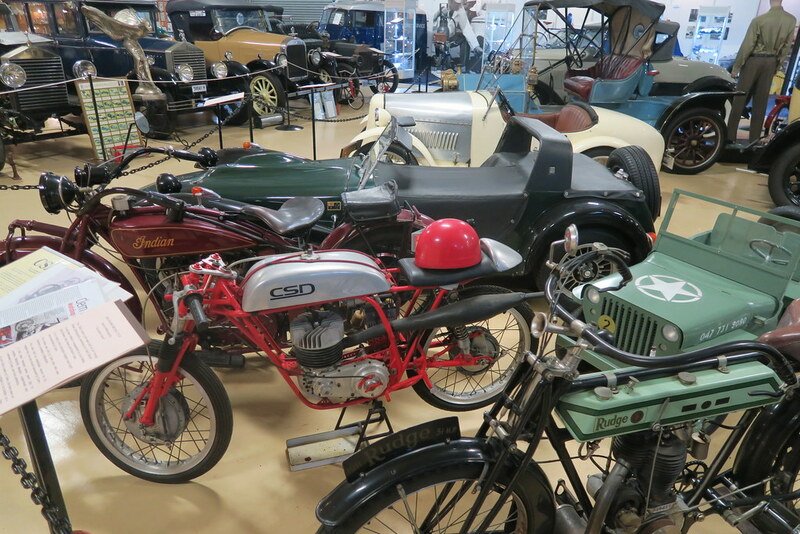 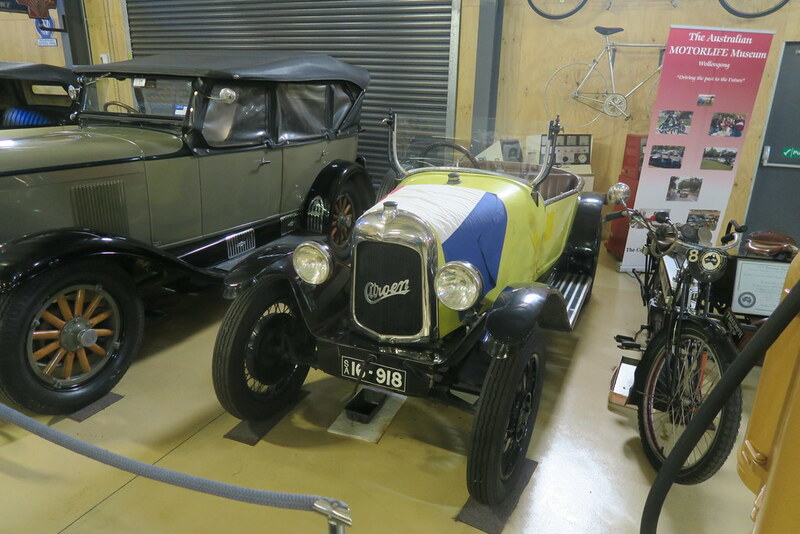 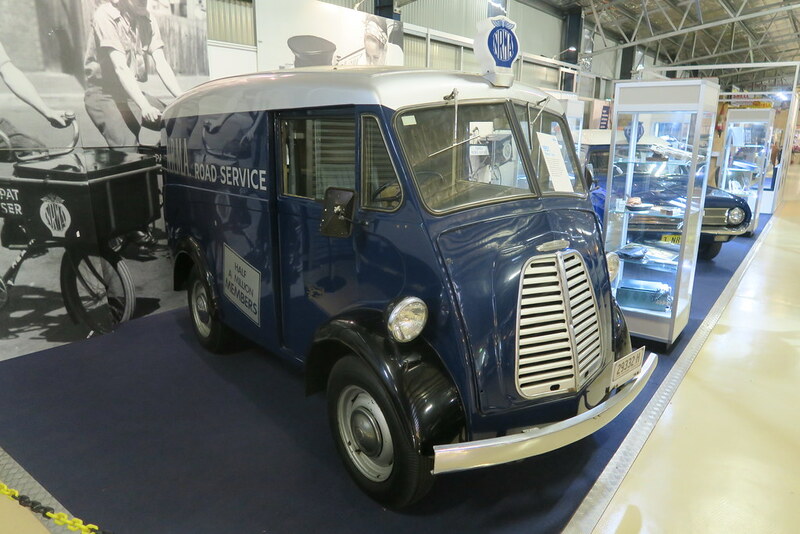 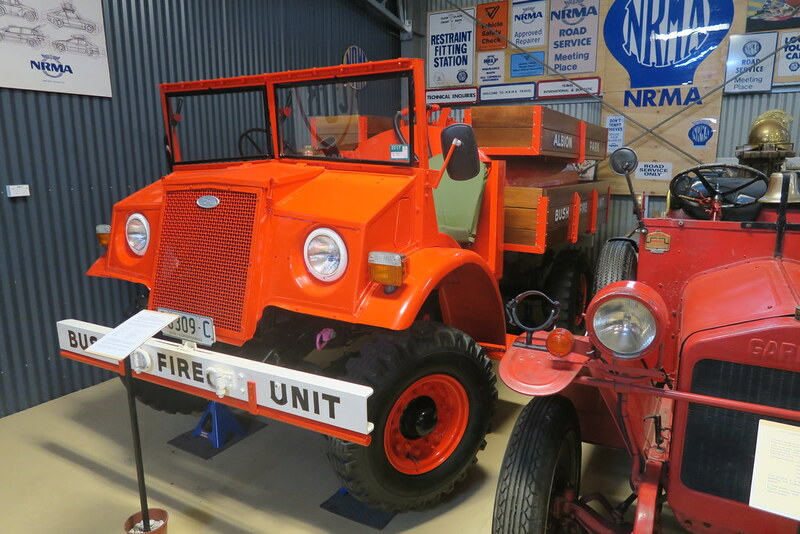 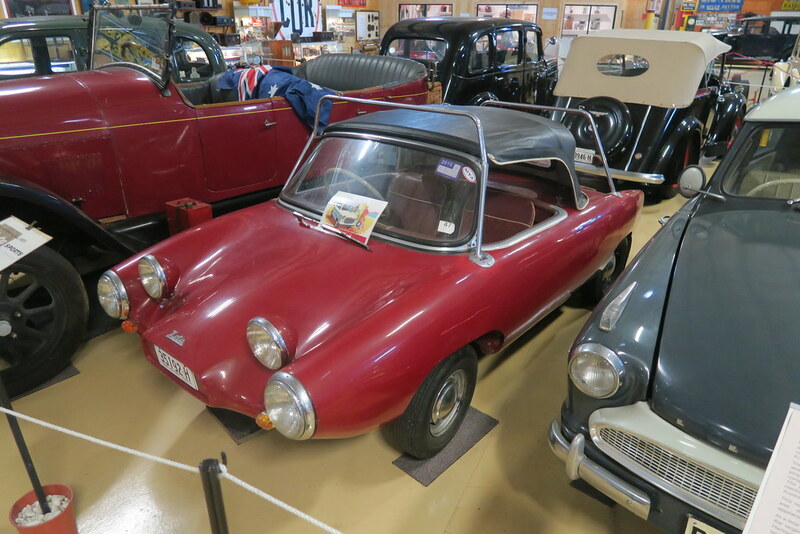 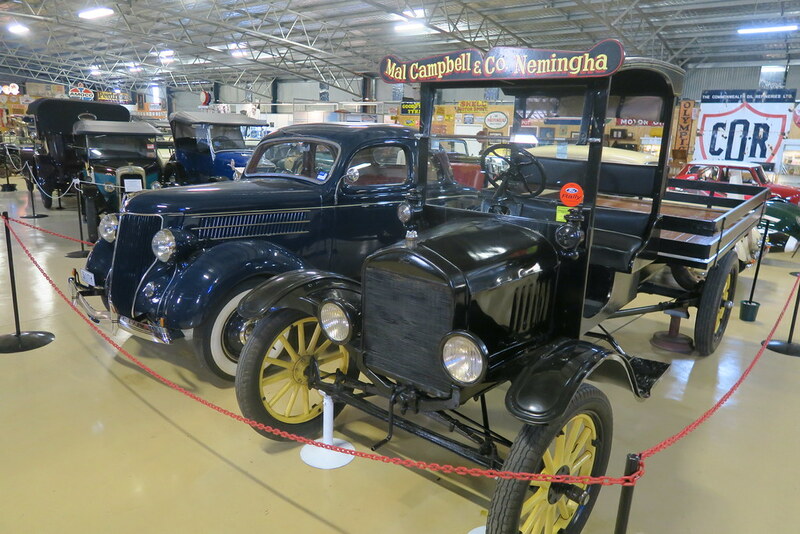 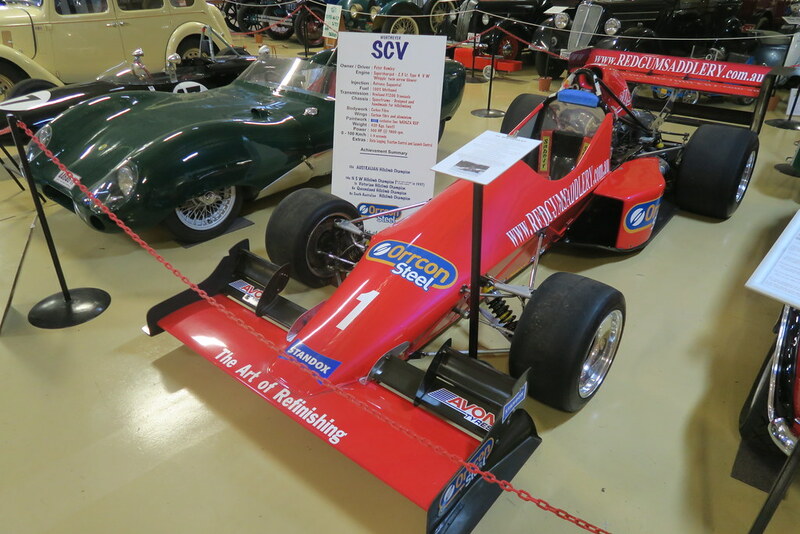 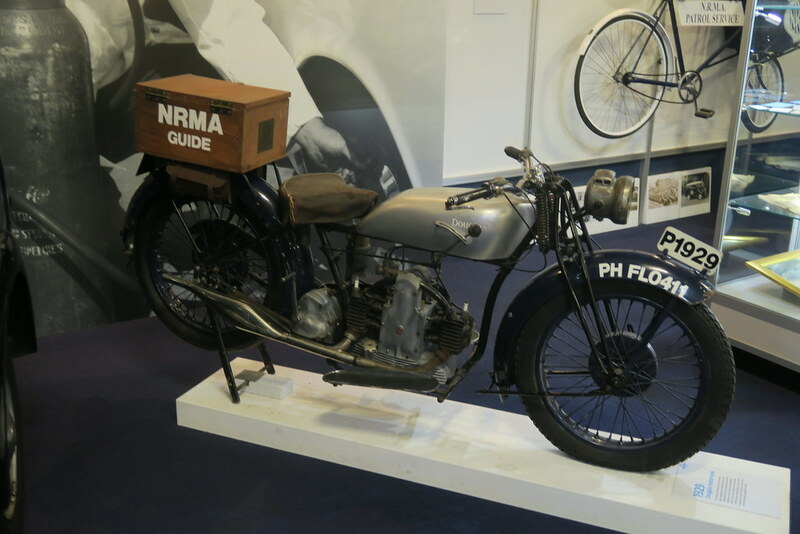 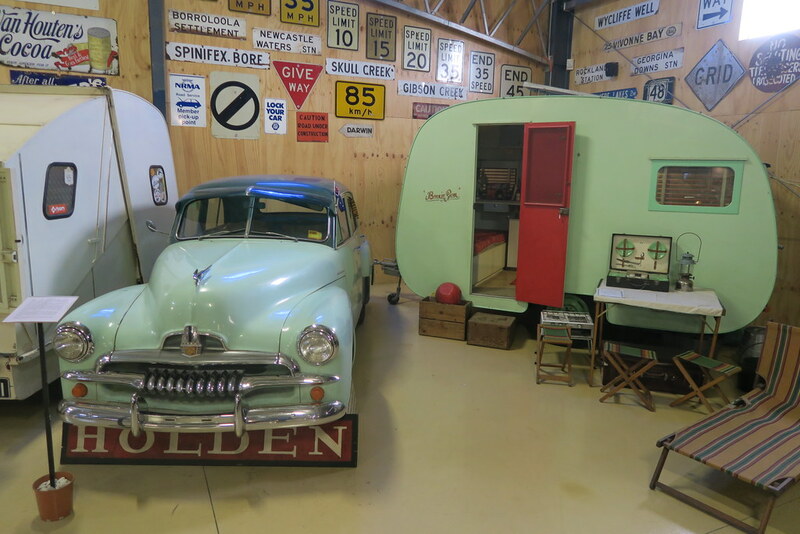 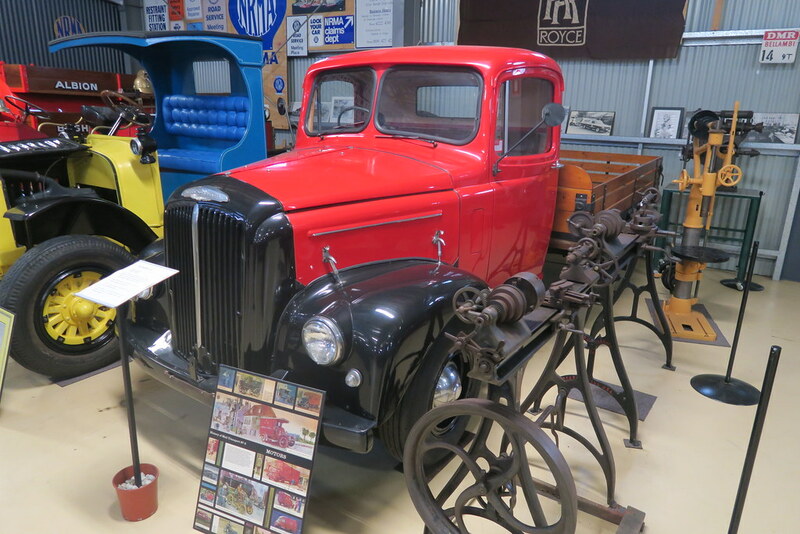 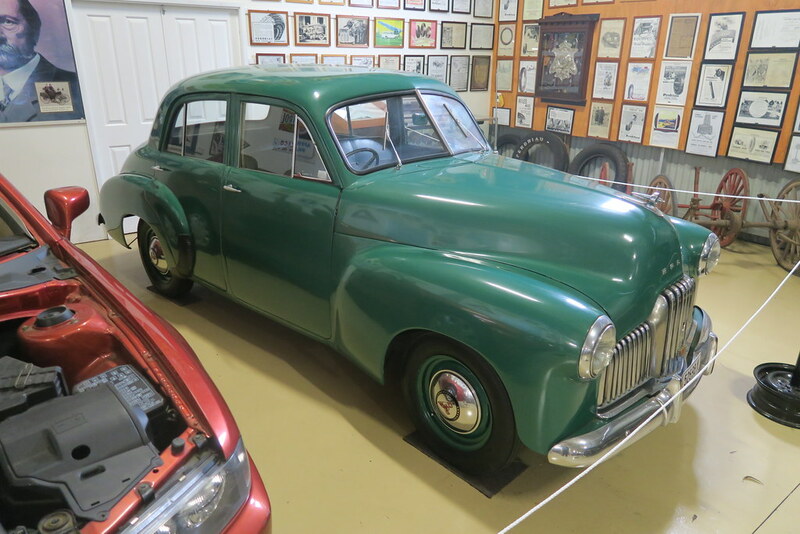 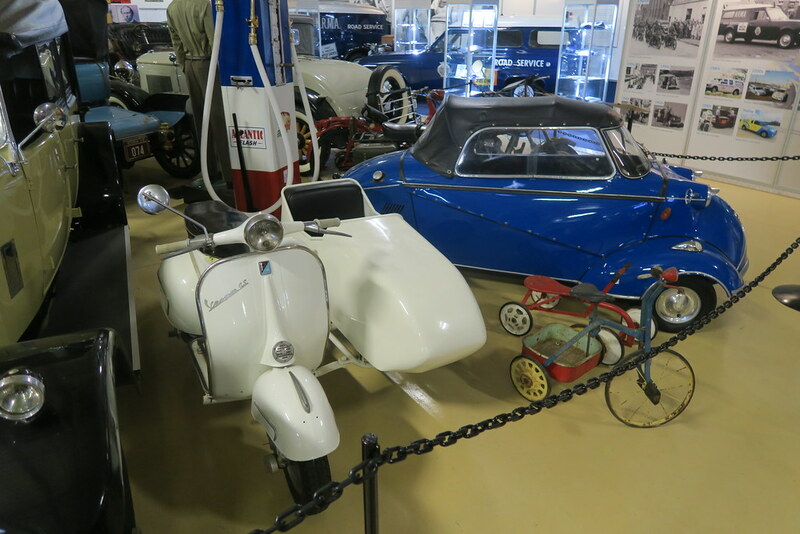 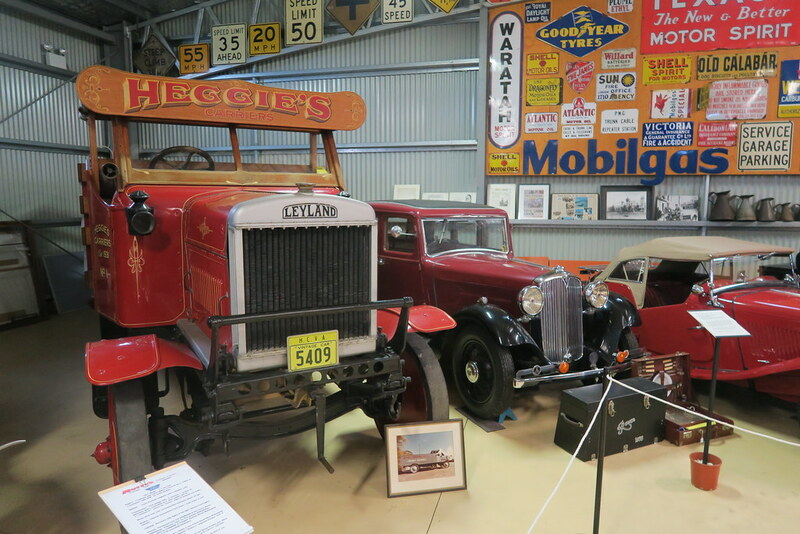 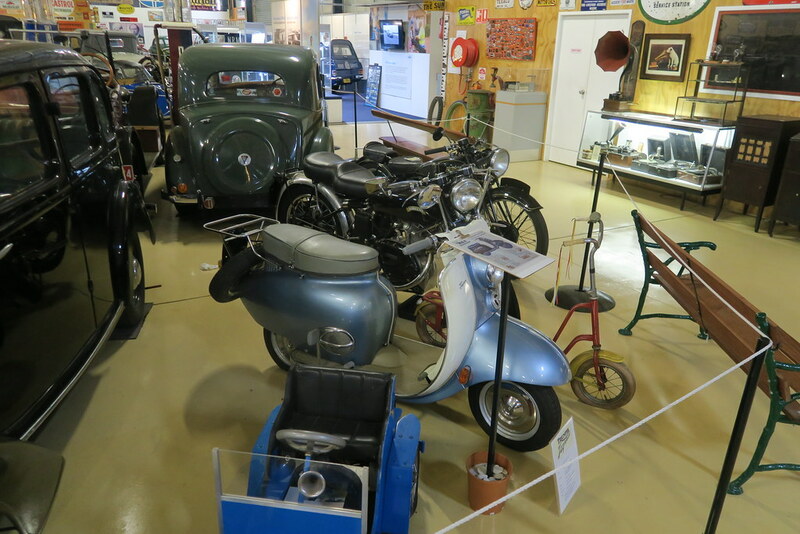 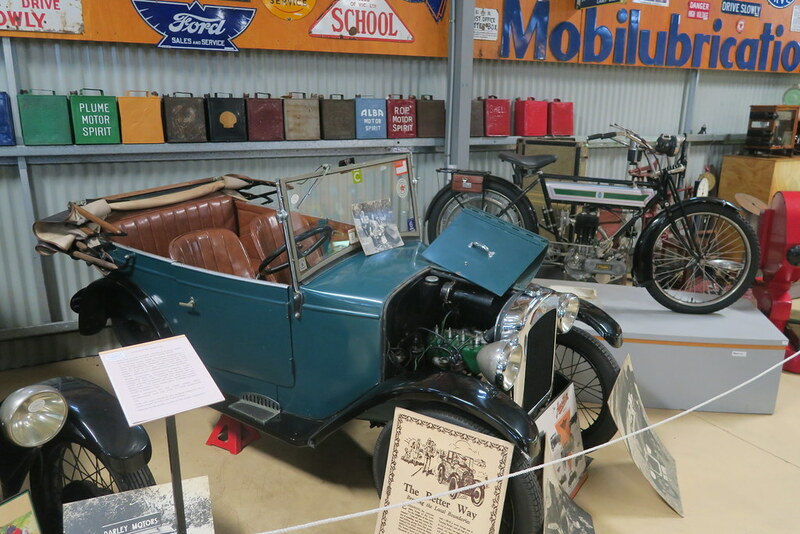 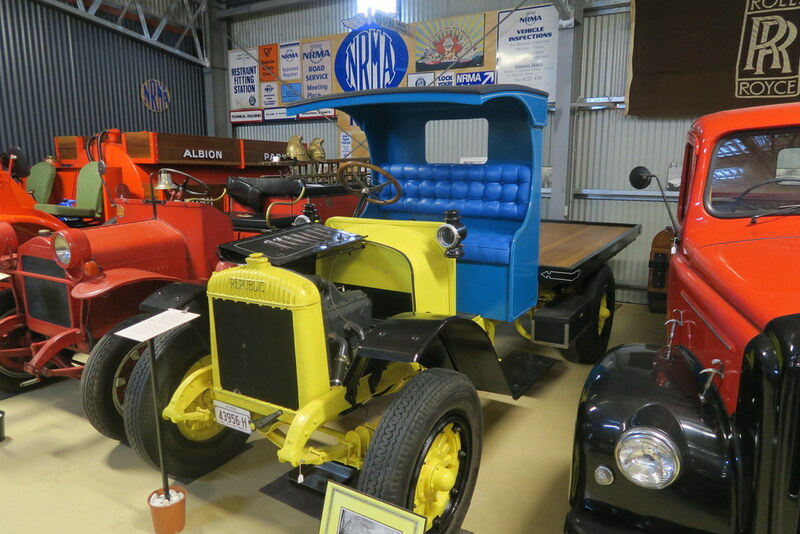 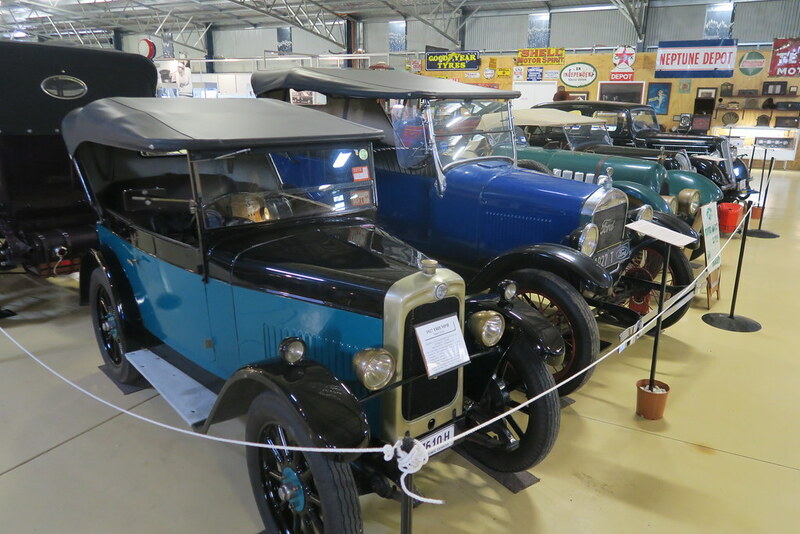 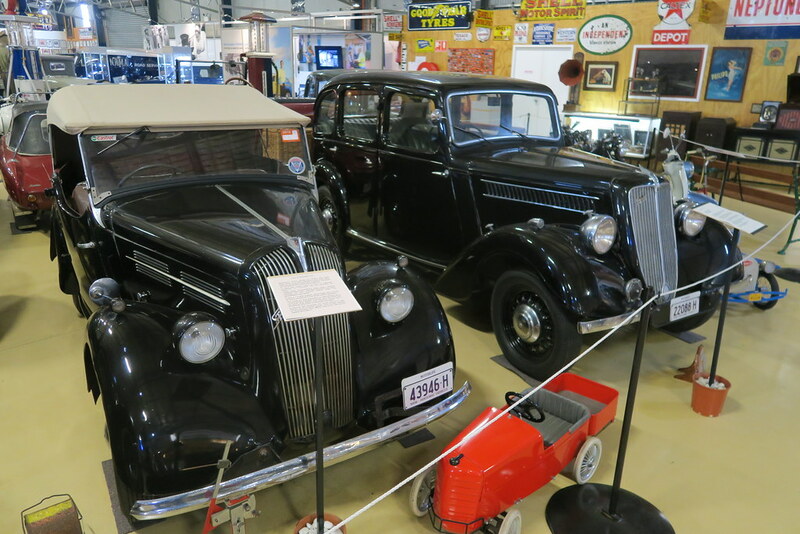 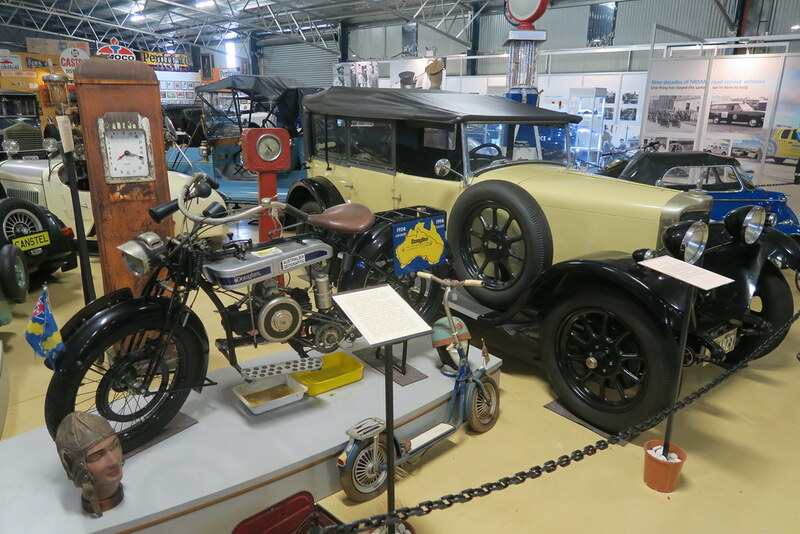 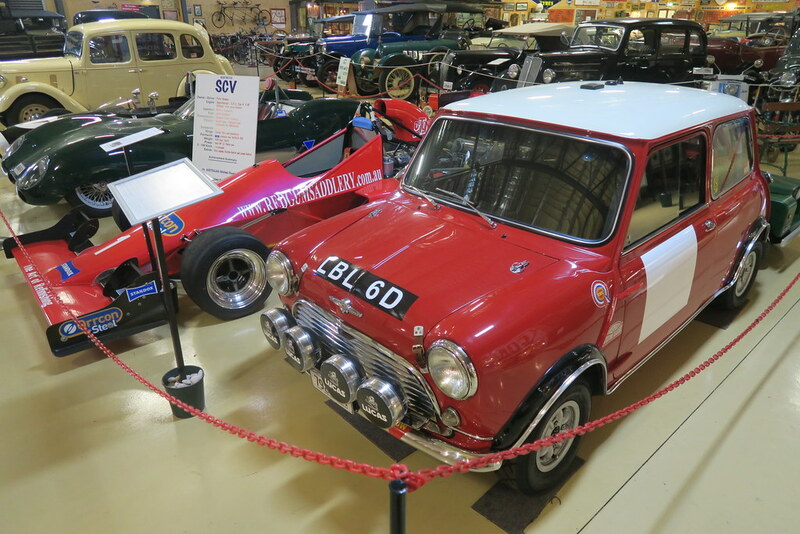 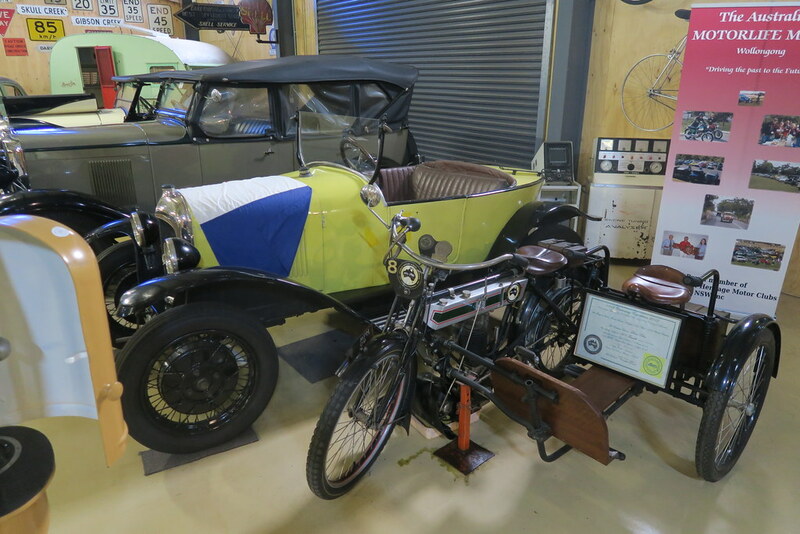 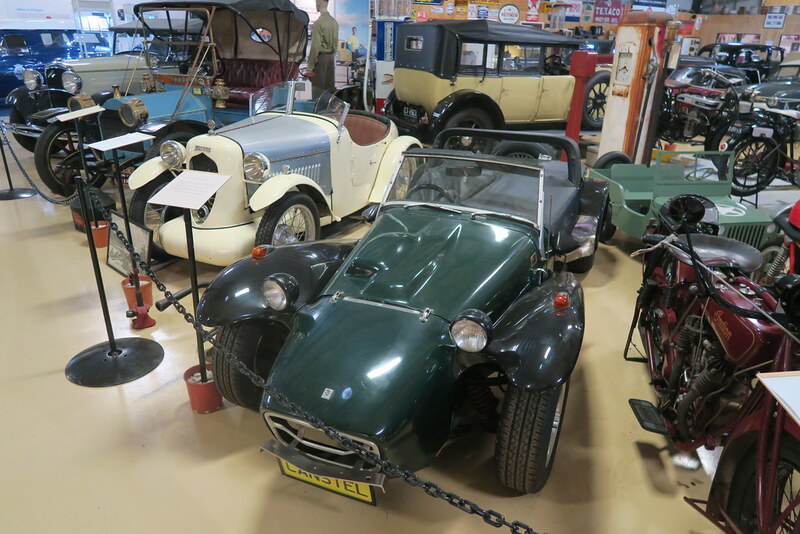 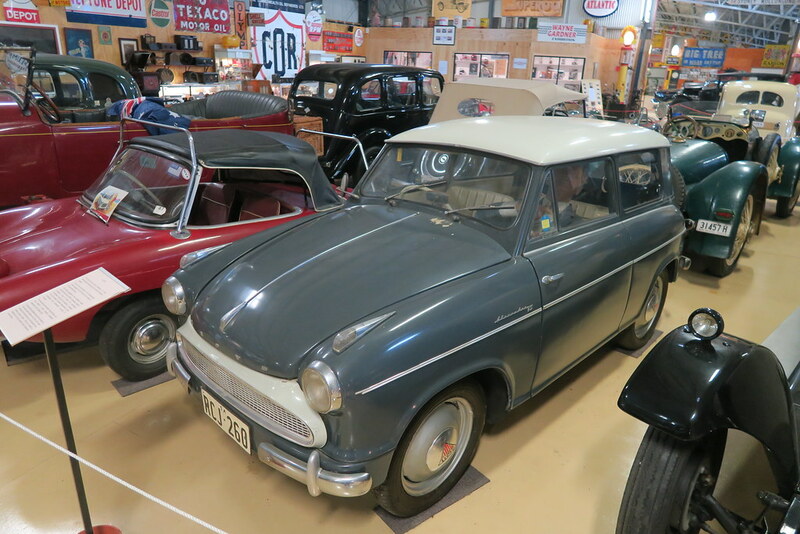 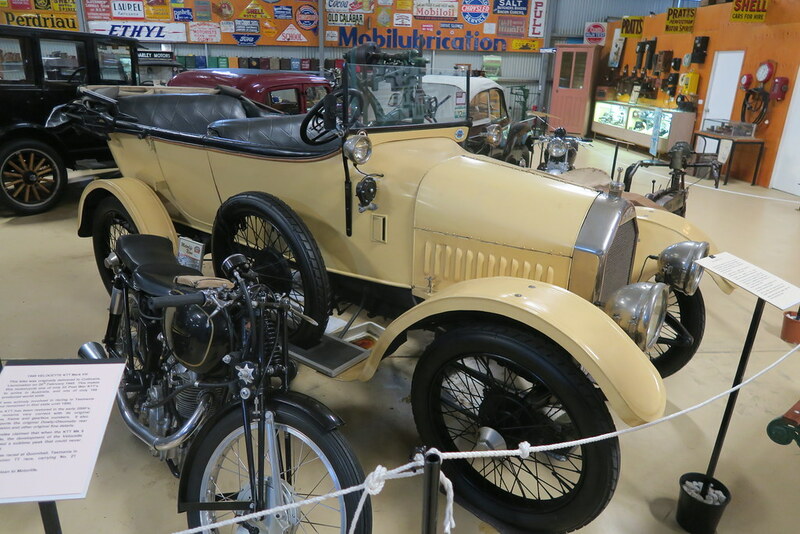 The Motorlife Museum is well worth the drive down and very different from the Gosford Museum. 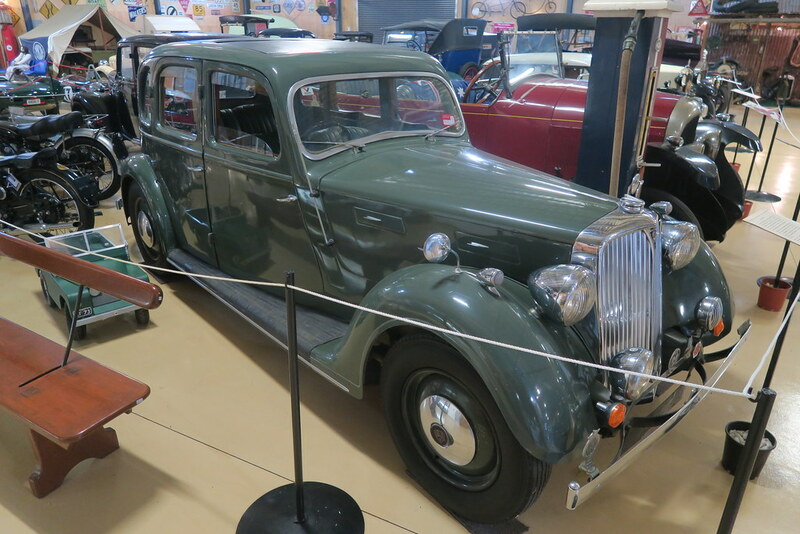 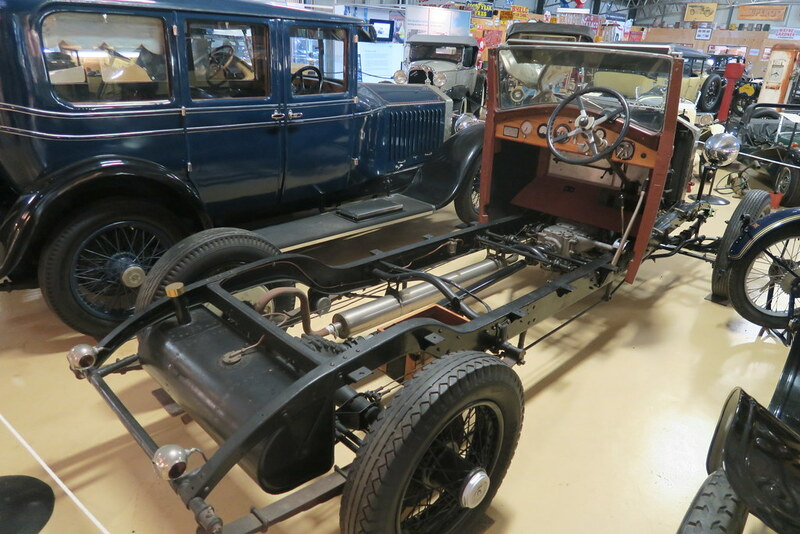 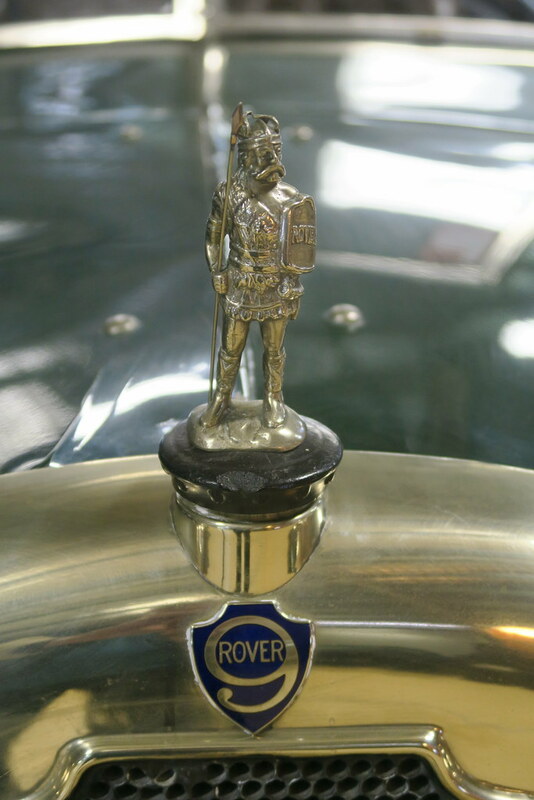 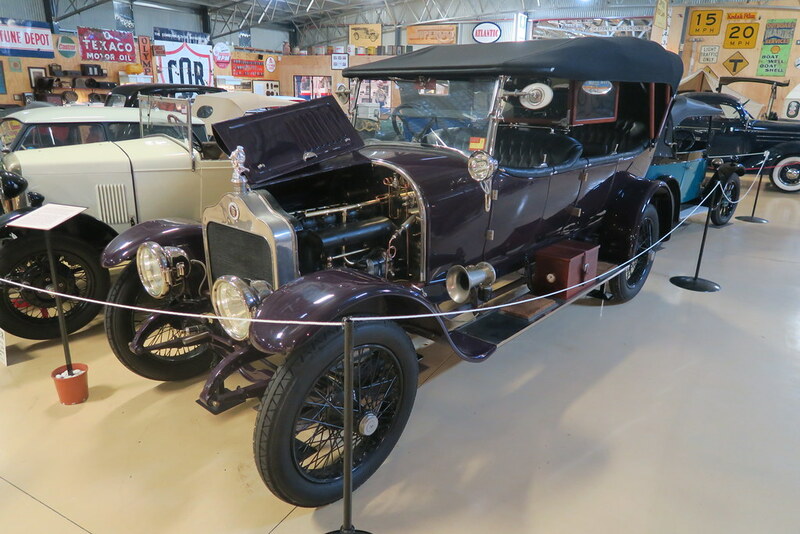 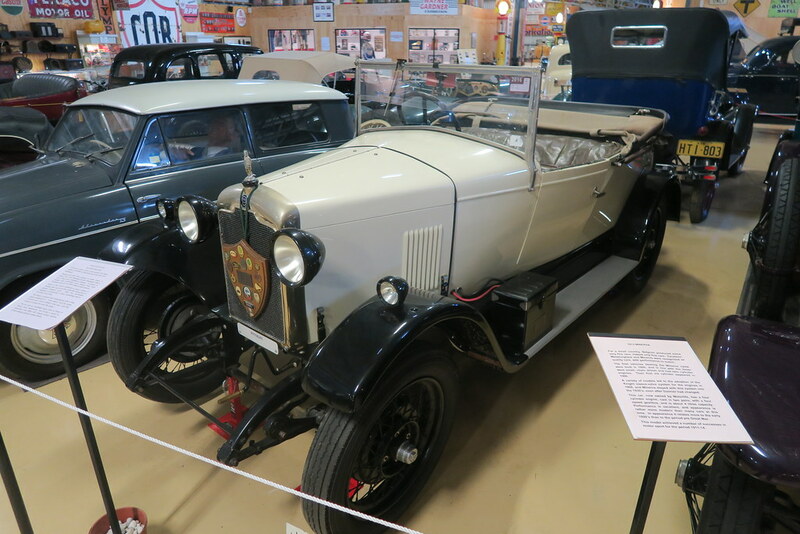 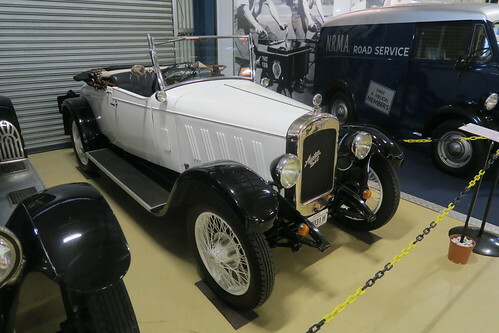 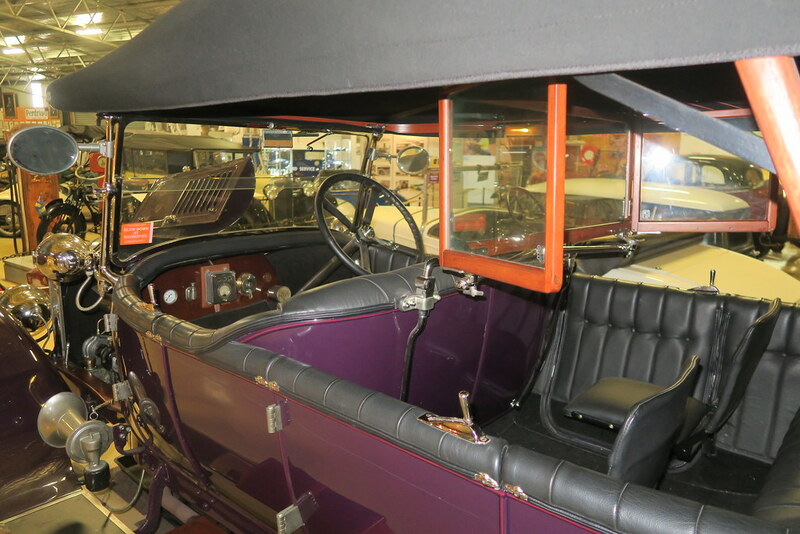 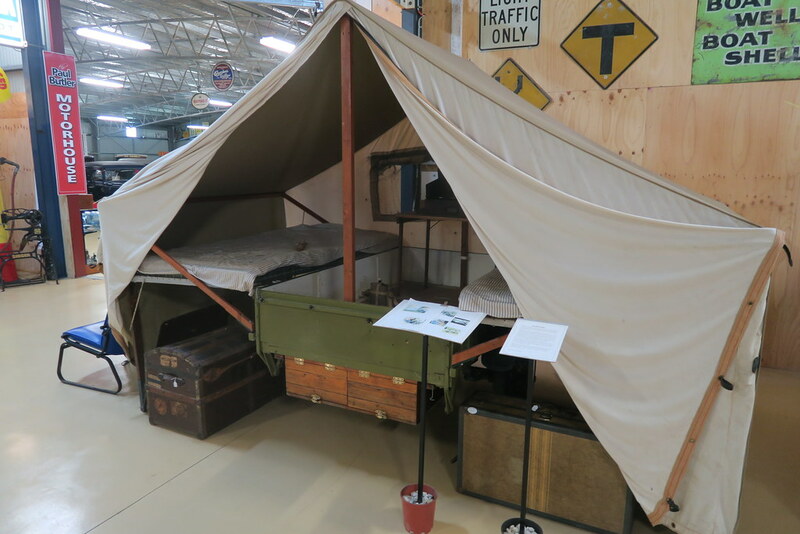 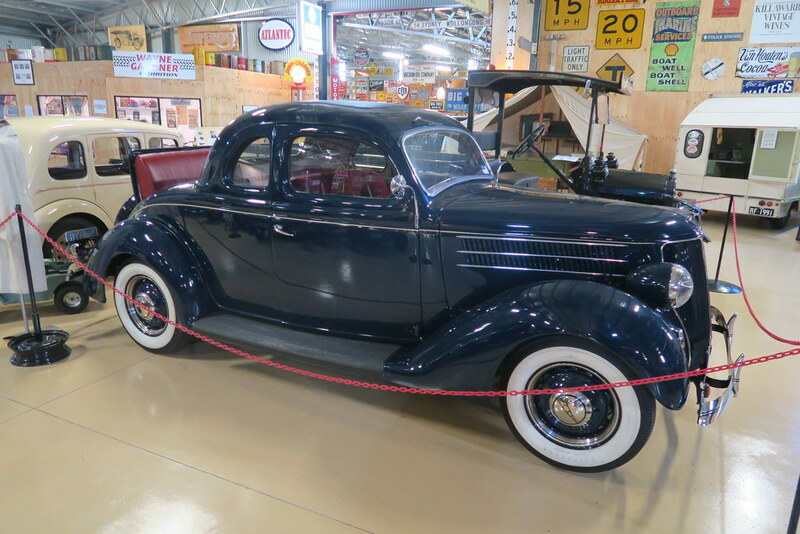 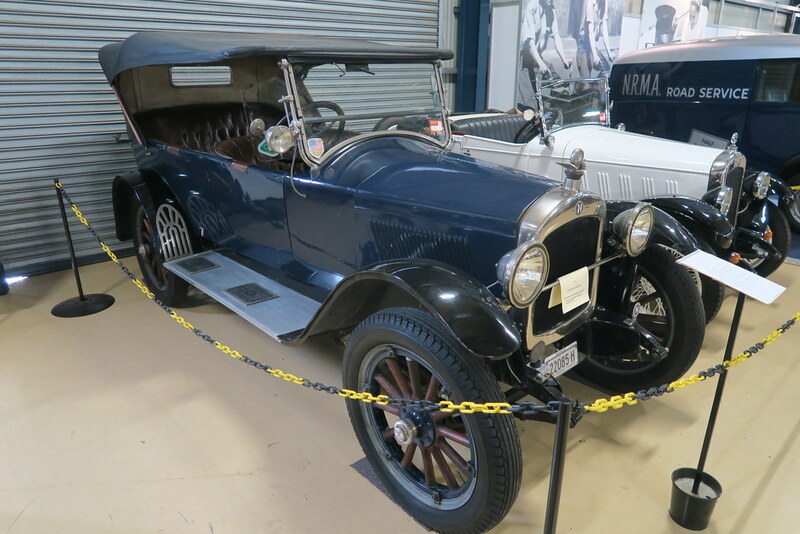 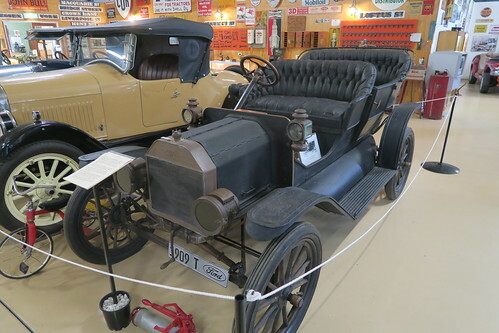 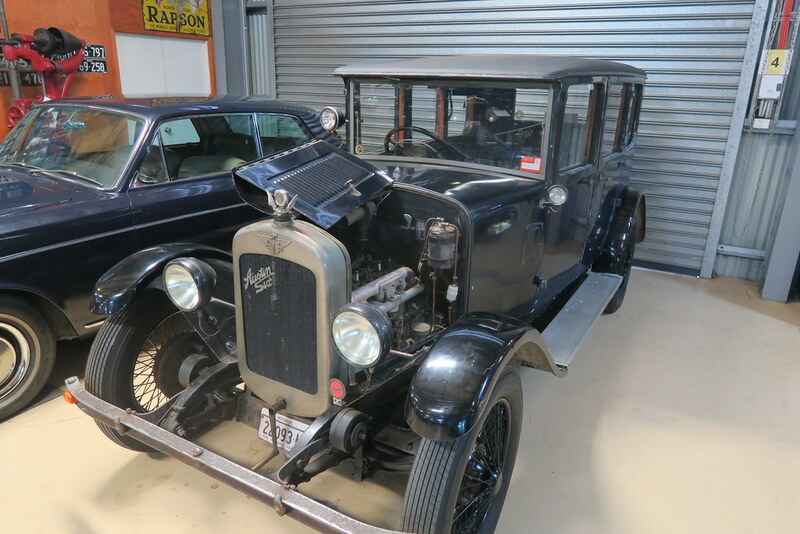 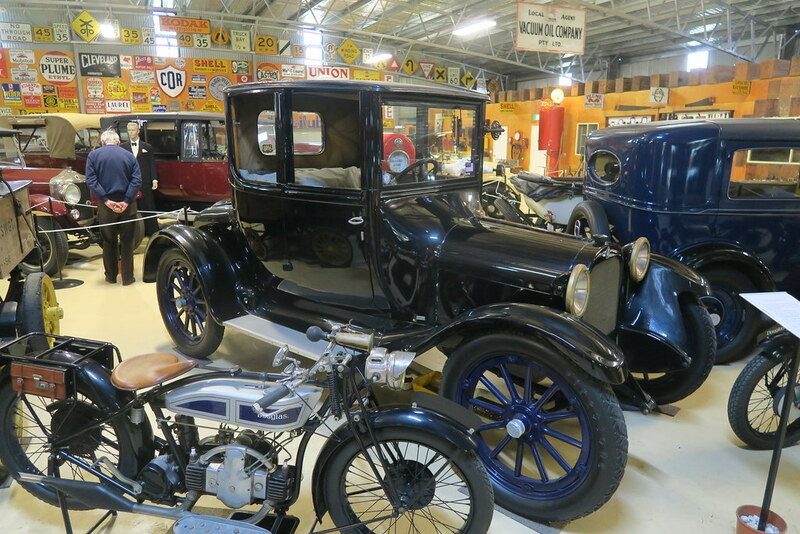 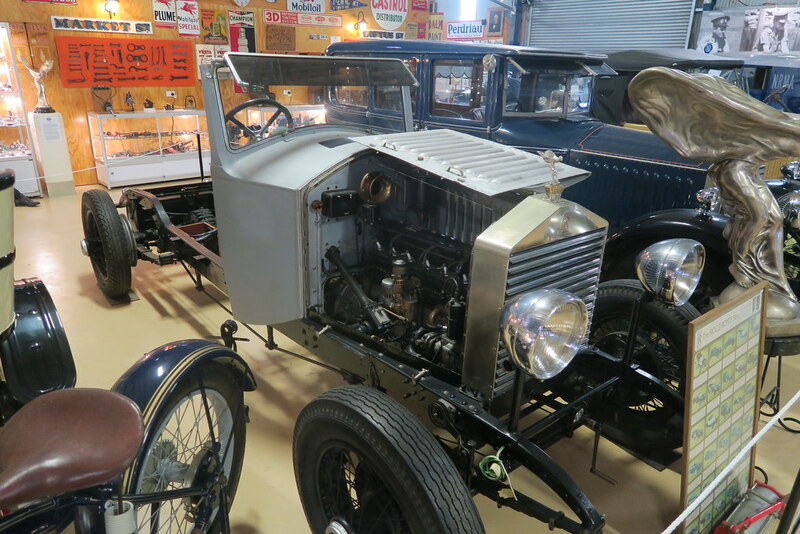 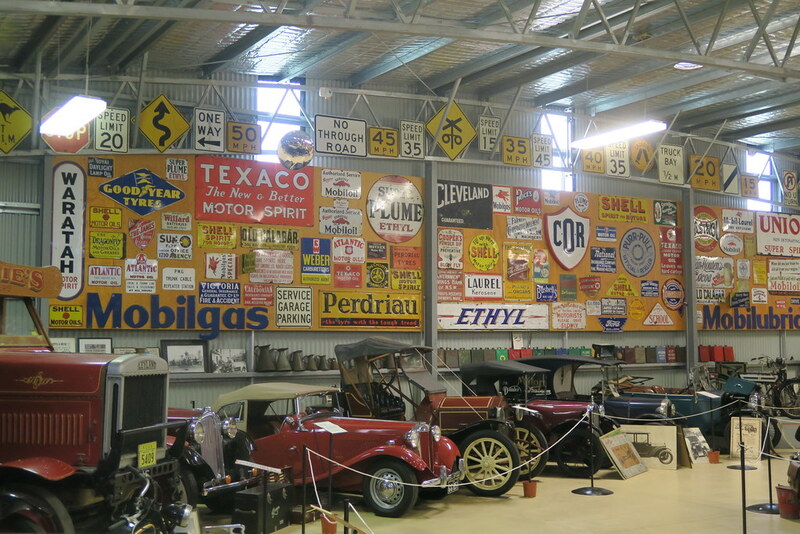 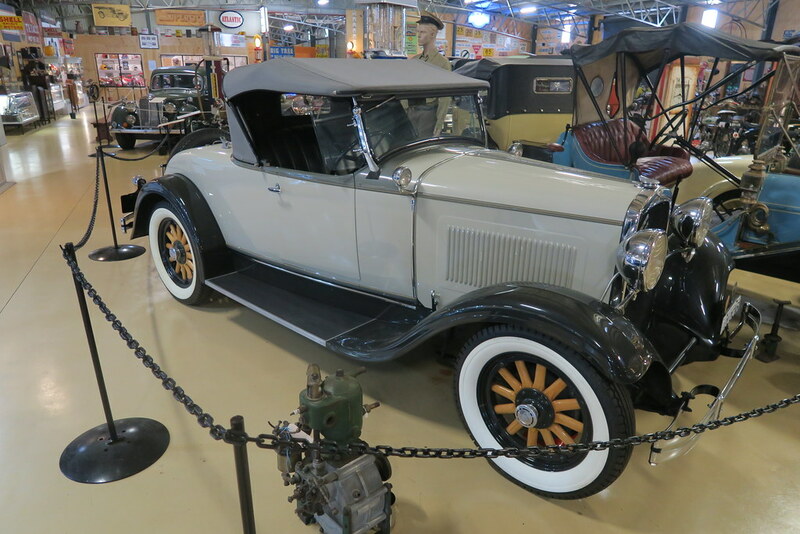 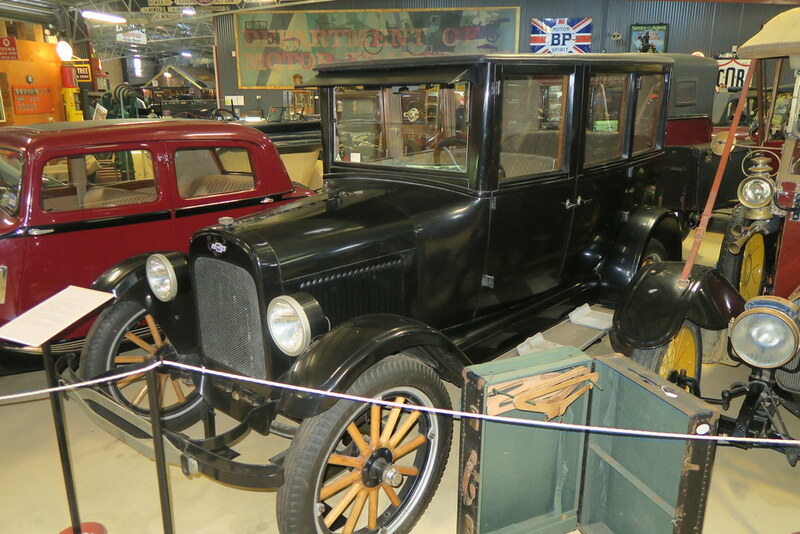 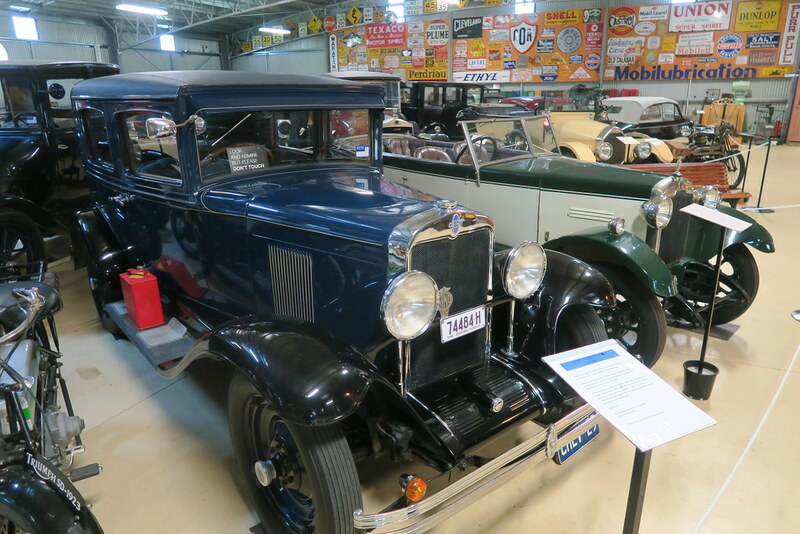 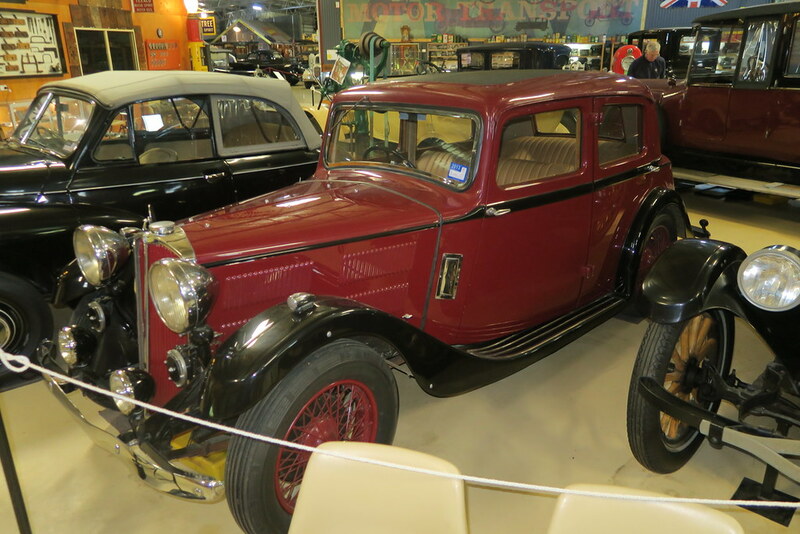 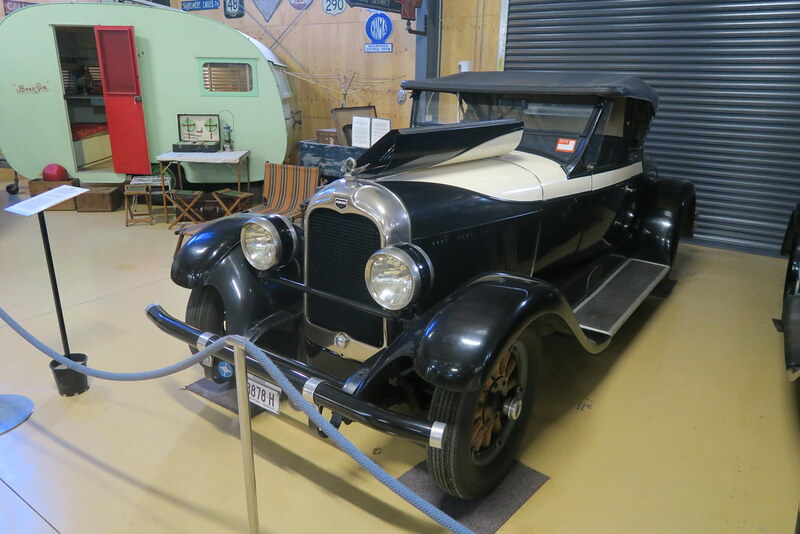 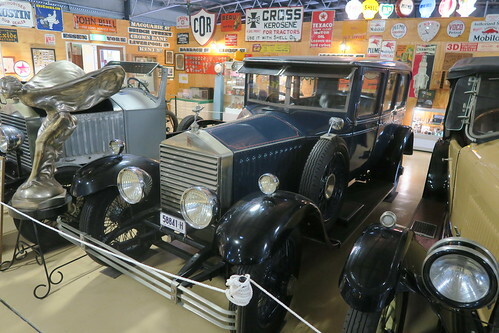 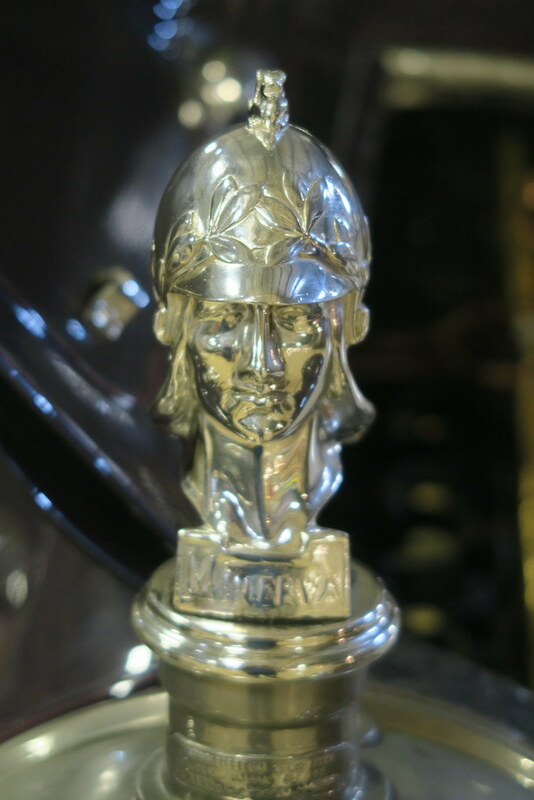 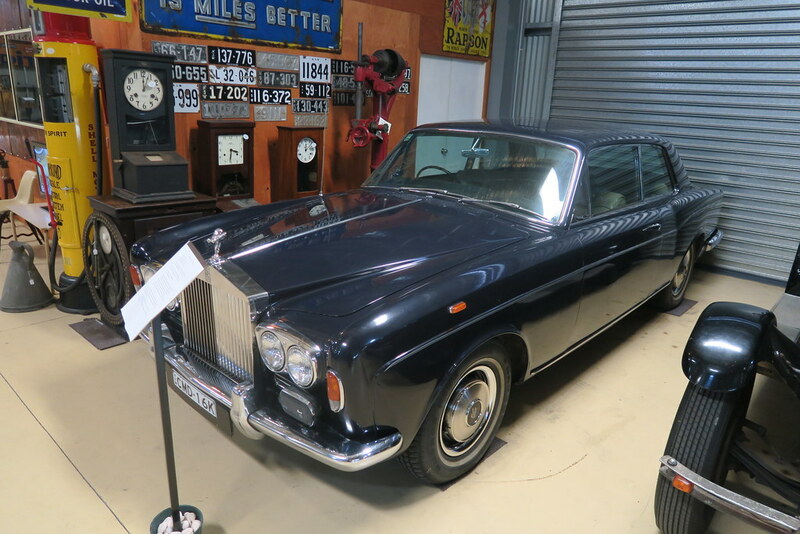 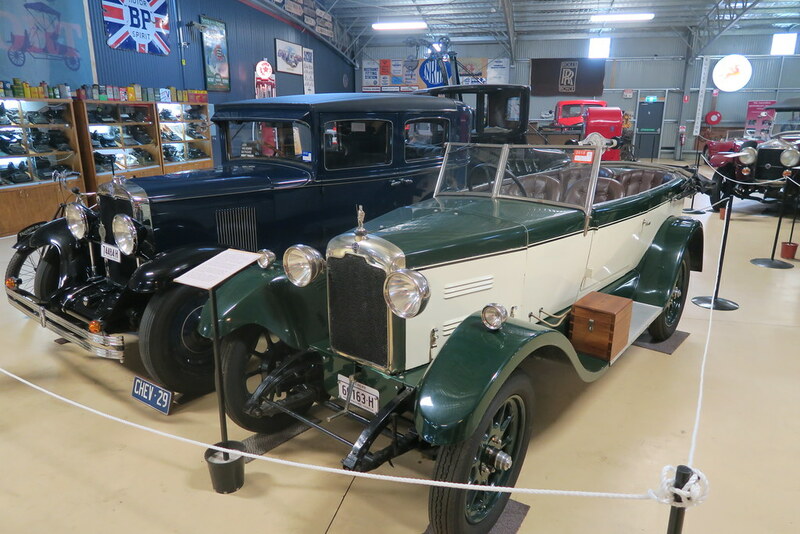 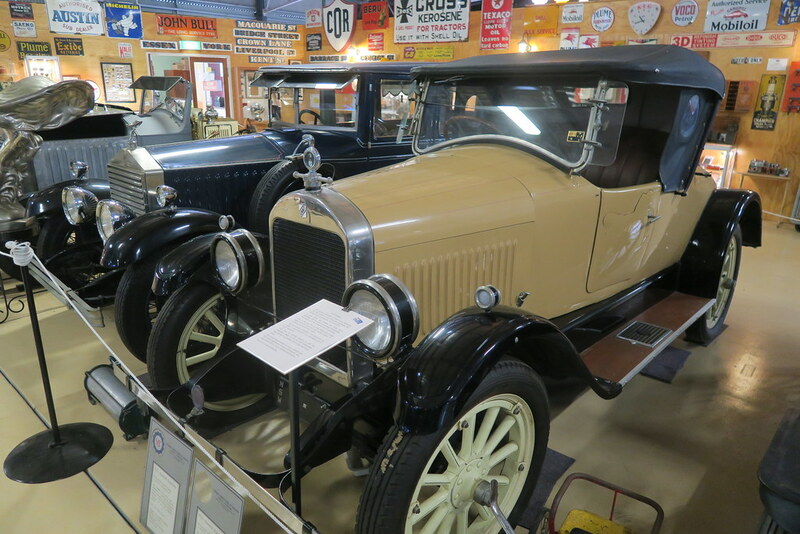 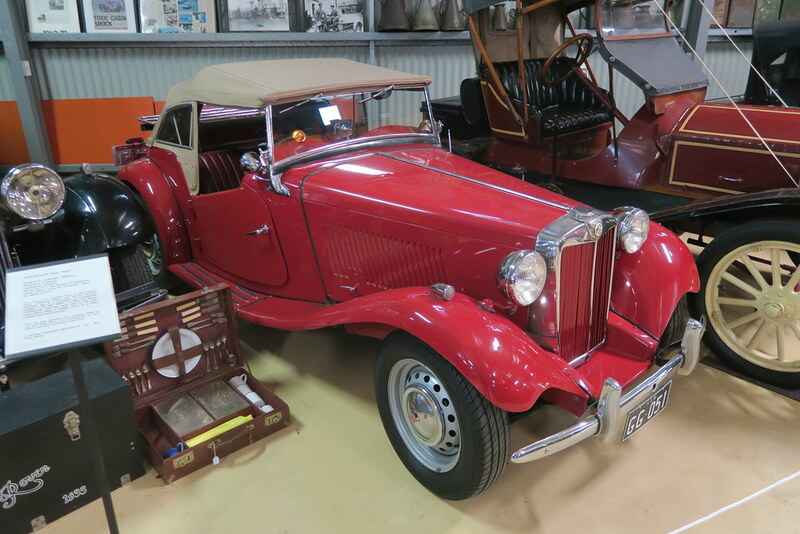 It contains mostly pre-war cars and also has a large collection of memorabilia. 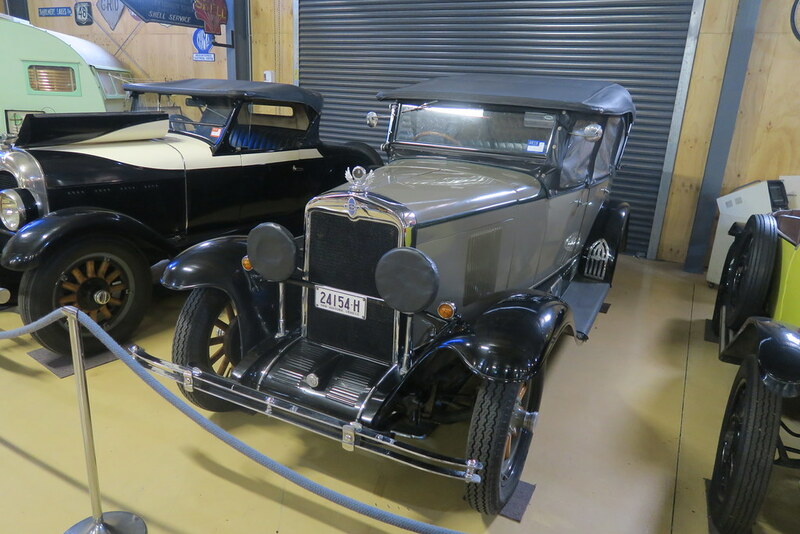 It is also nice to see that many of the cars are registered and are used from time to time. 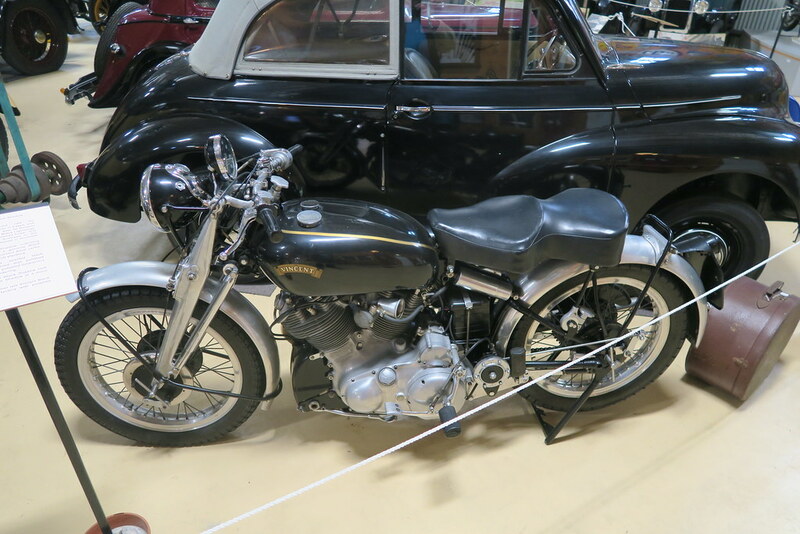 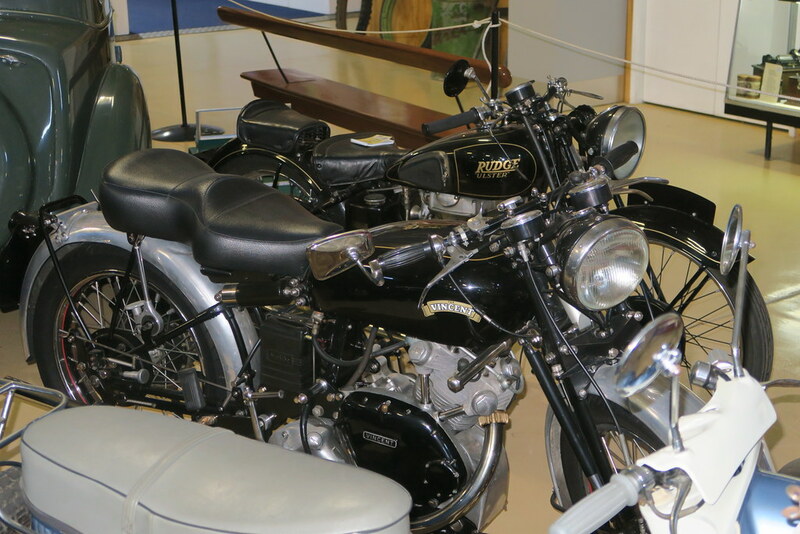 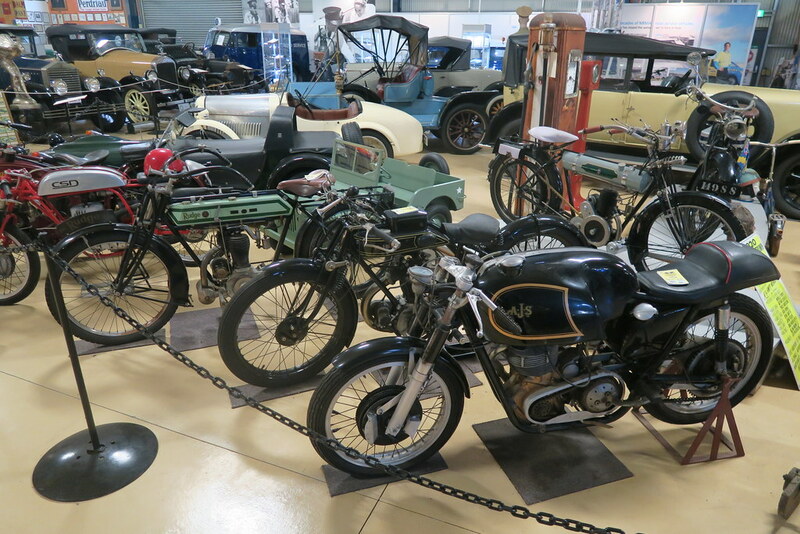 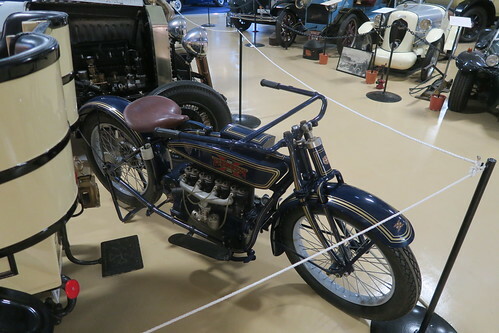 In addition to the cars, there is also a large collection of motorcycles. 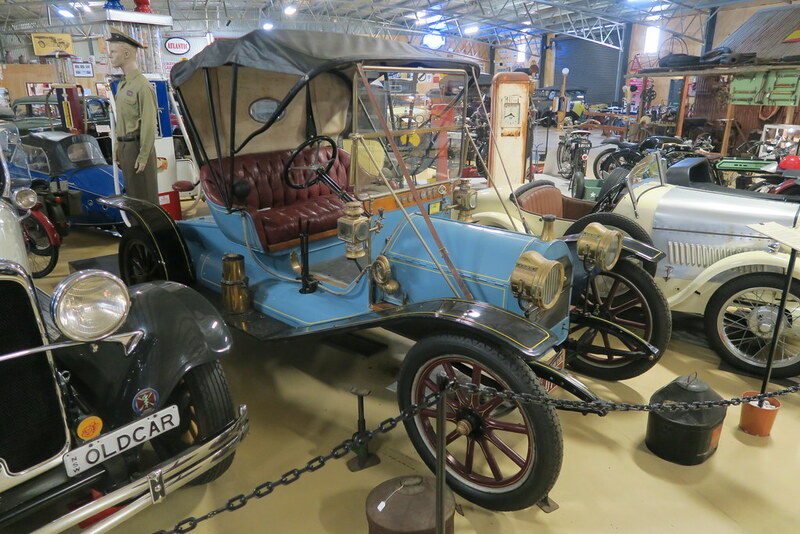 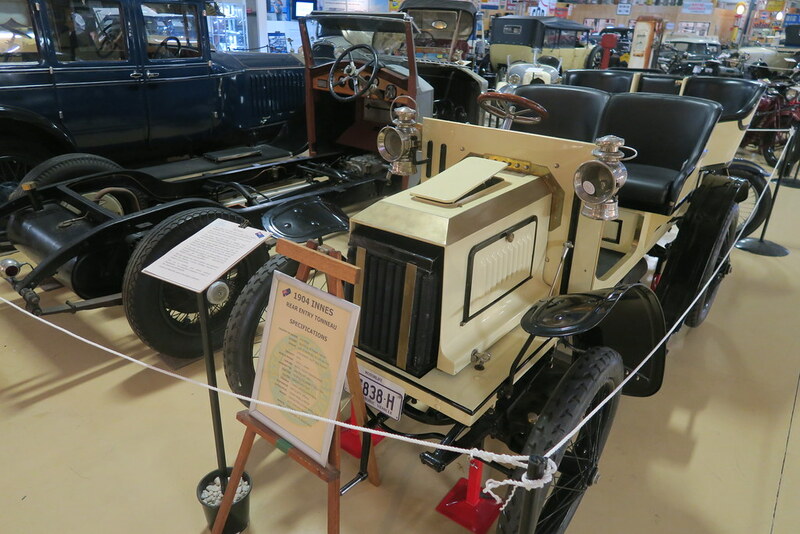 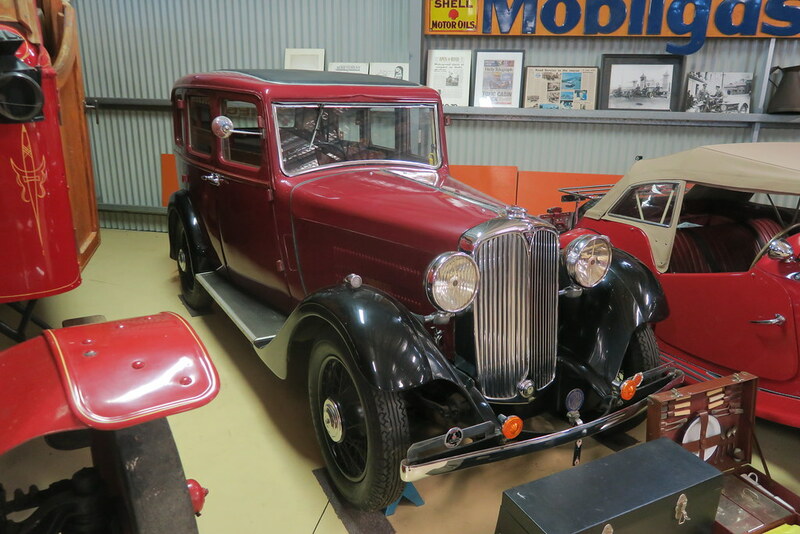 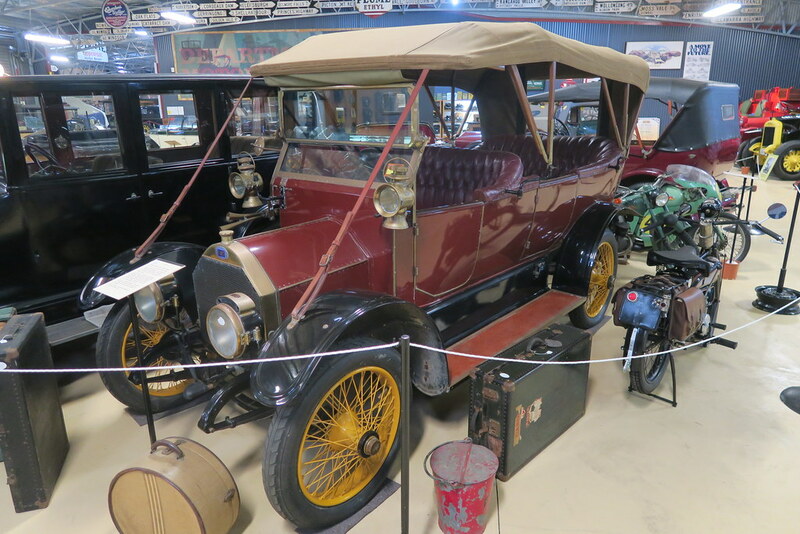 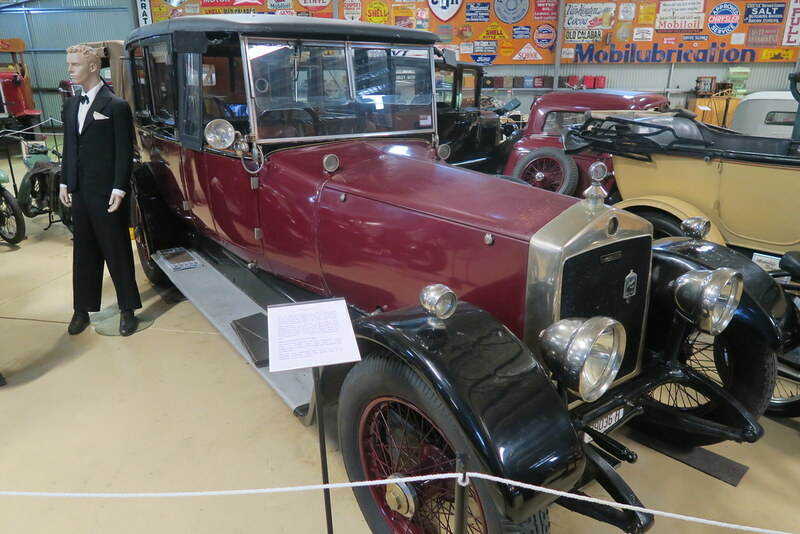 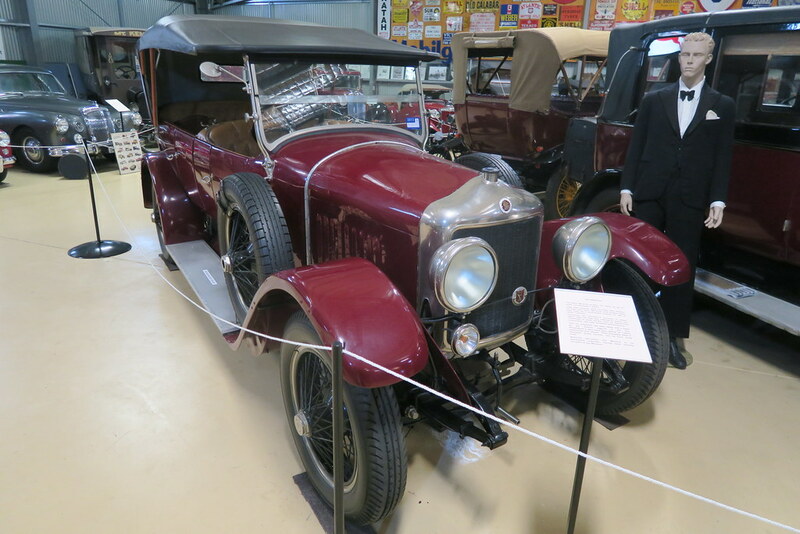 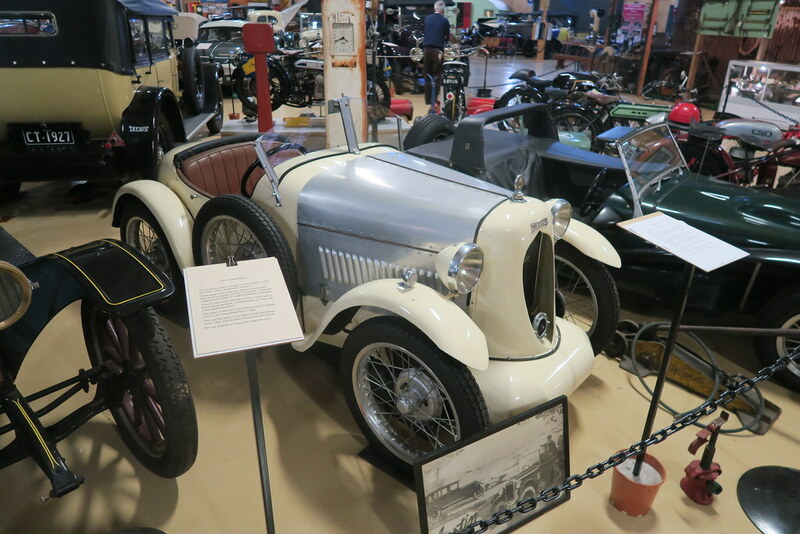 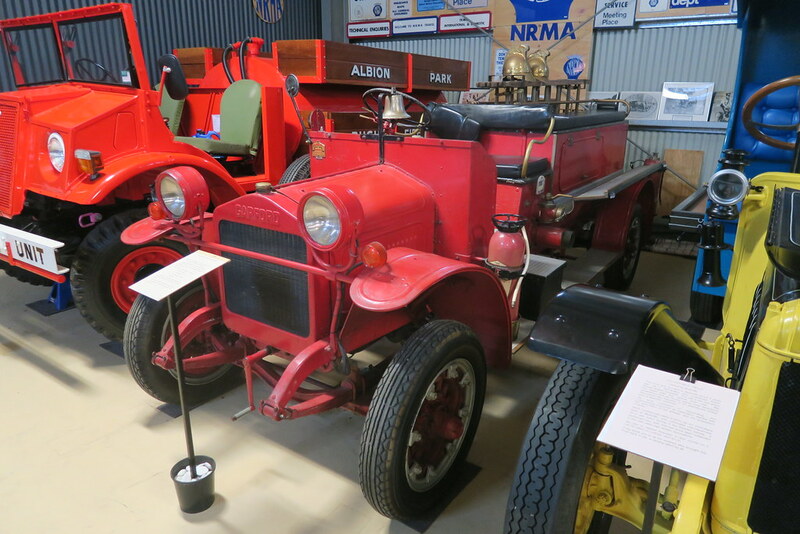 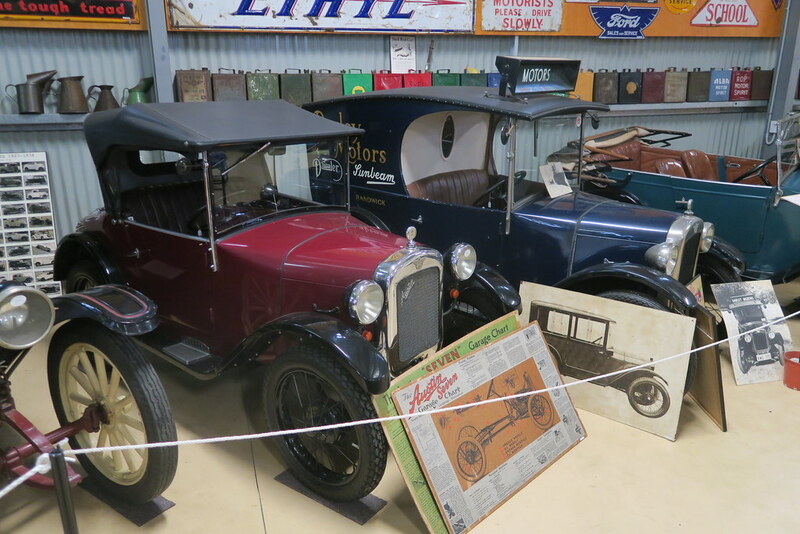 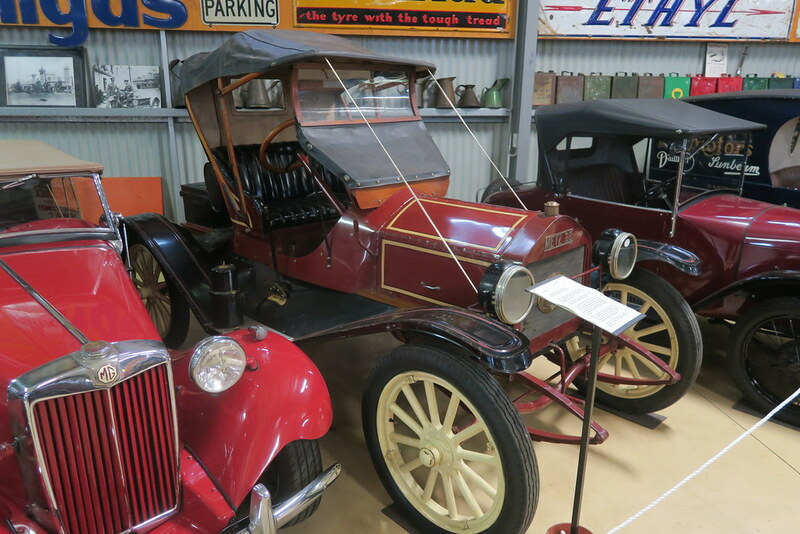 Being focused on Australian Motorlife, the museum catalogs some of the cars that were on the road in Australia 80-100 years ago. 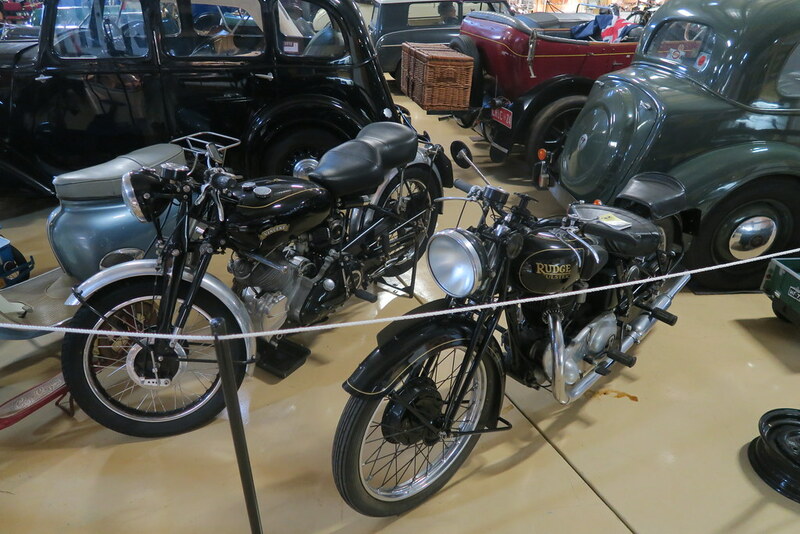 Probably the highlights for me were the two Minveras and the Vincent Black Shadow. 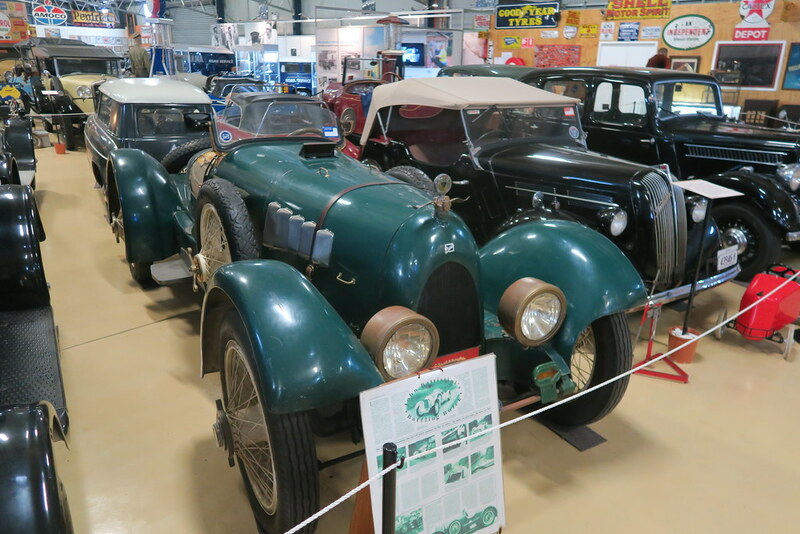 The museum also had used automotive books for sale at very good prices and a few people in our group grabbed some nice titles.